You'll never need to use the office scanner again! Snap a picture of your document, and Smart PDF Scanner Pro creates a cross-platform compatible PDF file you can instantly send to your colleagues. Even if you already have a scanner app, here's why Smart PDF Scanner is better: It's optimized for the latest iPhones, and it has a color-coded filing system that's much easier to use. Download it and let us know if you agree. That processor in your phone is quite a little monster. Smart PDF Scanner Pro uses it fully to make crystal clear scans. Even full-page articles come out tack-sharp and easy to read. It automatically detects the page edges and corrects for perspective. Pick full-color scans, grayscale, or black-and-white for maximum legibility. FlashAssist can take perfect scans even in poor lighting conditions. You can even change the correction and enhancement settings later. Easily upload to Dropbox, Google Drive, and other cloud services with the corresponding third party App. We designed a custom category system for Smart PDF Scanner Pro to be easy-to-use yet powerful. File scanned documents under custom color-coded categories with just a couple taps. Browse and sort files by category. You shouldn't need to wrangle with complicated folder systems on your phone. 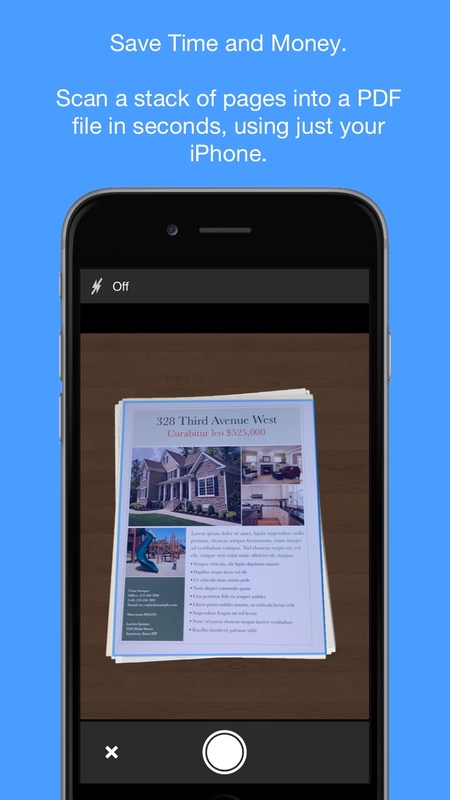 Smart PDF Scanner Pro uses the latest technologies packed into the iPhone and iPad, but we've worked hard to make it as easy and fast to use as possible. Intelligent image processing eliminates the need for fiddling with complicated controls. That way, you can focus on getting the job done, and doing what you do best. We are dedicated to handcrafting the best possible Apps for your iPhone and iPad, and we hope you enjoy using Smart PDF Scanner Pro. If you have any additional questions, please drop us a line via our feedback page.